The following ear piercing tips will help you wind up with piercings you love and avoid infection. Piercing shouldn't be a do-it-yourself project. Ears should always be pierced by a professional, either in your doctor's office or at a reputable shop. This offers a stronger chance of staying healthy as well as having the holes placed evenly. Most people don't think of it, but not everyone's ears are even with each other. This can pose some challenges with proper placement of your piercings, especially when the lobes are involved. An experienced piercer will make a quick measurement to help decide where the holes should go. If you choose, the piercings can be placed so the earrings look even with each other even if they aren't in exactly the same area of each lobe. This can camouflage the difference. It's important to choose hypo-allergenic jewelry made from either 14 karat gold or surgical stainless steel for your first set of earrings. Titanium is a good choice for your future jewelry, but many professionals say to wait until your piercings are healed before using this metal. Avoid less expensive earrings made from nickel that are likely to irritate your fresh piercing, and wear your premium starter post earring set until you're fully healed. Wash your hands before touching your piercings. 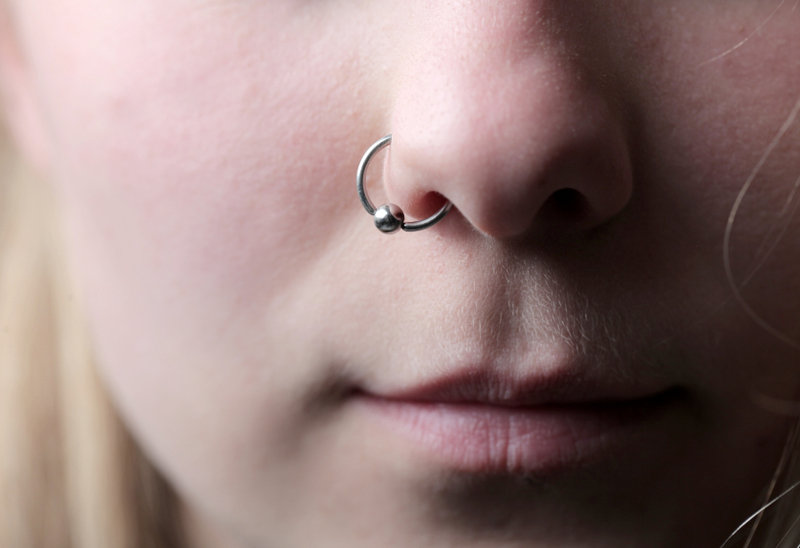 Clean your piercings twice a day with mild soap or the cleanser provided by your piercing professional. Dry your piercings with a fresh paper towel to avoid transfering bacteria. Change your pillowcase every couple of days. Although hydrogen peroxide and alcohol both kill germs, they can also make your skin dry and tender. It's better to rinse your piercings with plain saline solution or a commercial ear piercing cleaner to promote healing. Healing will be a little quicker if you keep the skin from adhering to the surrounding skin. Rotate post earrings and barbells once a day, and gently slide hoop styles back and forth once. Resist the urge to touch your jewelry too much or you could cause irritation. Always follow up with a gentle wipe with a cleanser-soaked cotton swab. If you like the look of gauges, tunnels and plugs, understand that it takes a while to increase the size of your piercings. Compare the size of your earring posts to a gauge chart found at most piercing shops. Most people have a 20 or 18 gauge piercing, so their first gauge/tunnel will be the next largest size - either an 18 or 16 gauge. The smaller the number, the larger the gauge. The gauge must be inserted slowly to stretch rather than tear the piercing, and you should wait until the hole is fully healed before moving up to the next size gauge. Although you may hear that it takes less time, ear lobe piercings typically take about six weeks to fully heal. If you're having cartilage pierced, plan on about six months of healing time. These time tables can be prolonged if you don't follow through with aftercare. If you suspect you have an infection, visit your physician immediately. If you enjoyed this slideshow, be sure to visit LTK's Body Piercing Gallery.